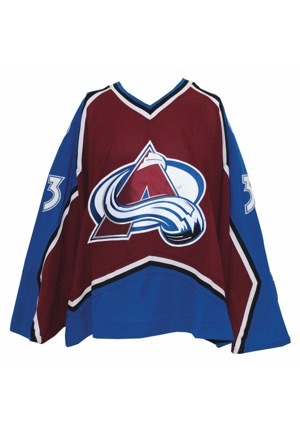 This sweater is photomatched to Halloween night, October 31, 2002 to a game between The Avs and the Vancouver Canucks. Patrick Roy won two Stanley Cups with the Avalanche and was selected as the greatest goaltender in NHL history by a panel of 41 writers, coupled with a simultaneous fan poll. 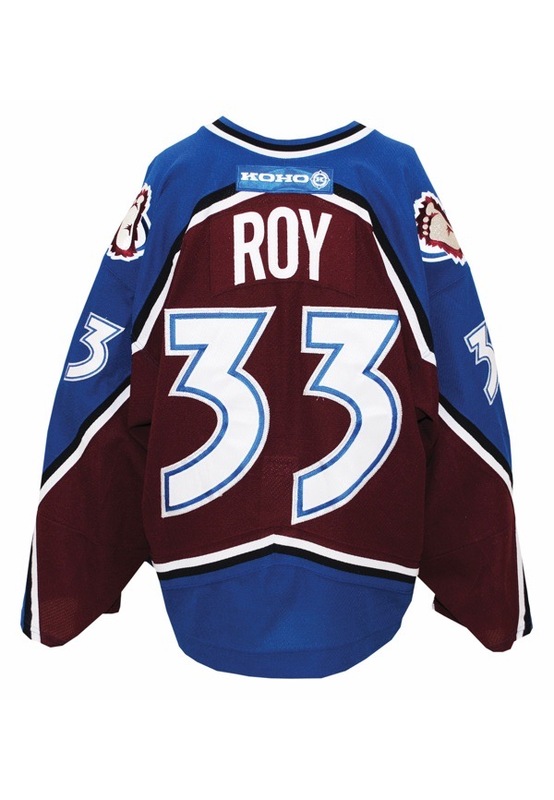 On November 13, 2006, Roy was inducted into the Hockey Hall of Fame. He is the only player in NHL history to win the Conn Smythe Trophy three times and also in different decades. On the left inseam is a large “AIR-KNIT” flag tag with wash instructions. 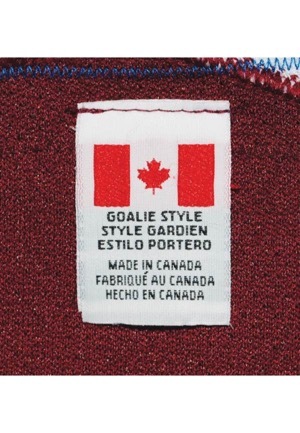 Inside the rear collar are two large flag tags, one with “Goalie Style” and the other with size “58”. 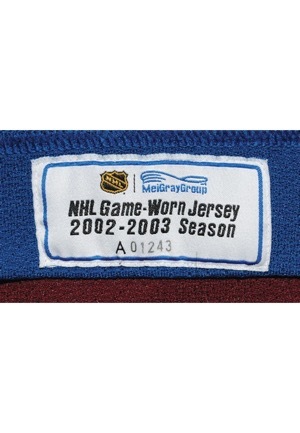 On the inner tail is the Meigray label with “NHL Game-Worn 2002-2003 Season A01243”. 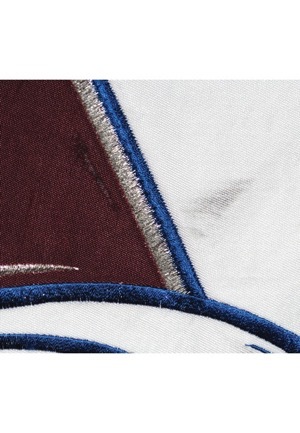 On the outer rear right tail is the official “NHL” embroidered logo. 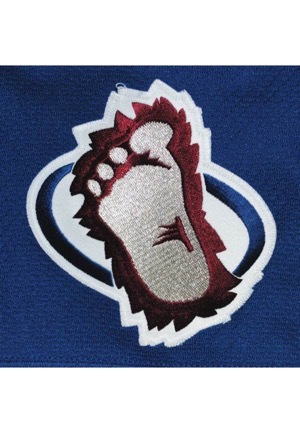 On front is the team’s large “A” logo crest. 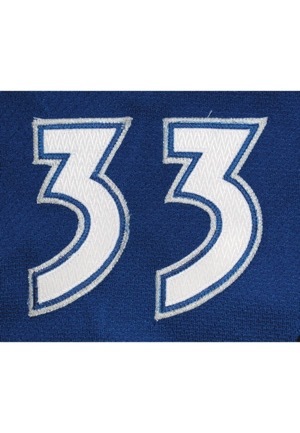 Player number “33” appears on back and on both sleeves in white on blue on silver sparkle tackle twill. Player name “ROY” appears on back in white tackle twill on a burgundy nameplate. The fight strap is intact. 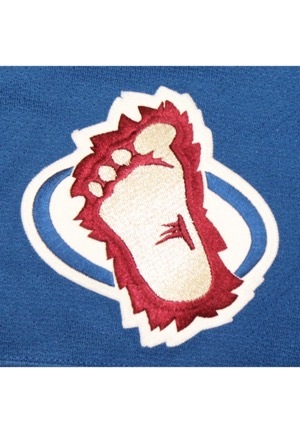 On each shoulder is the “Bigfoot” patch. At the rear collar is the “KOHO” patch. The jersey is properly tagged, was presented to us as game-used and in our opinion, shows appropriate use. 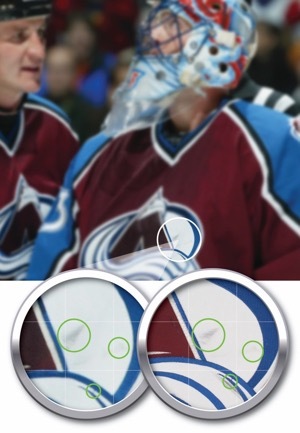 Accompanied by a NHL/Meigray LOA as well a Photo-Match.com LOA confirming the match.